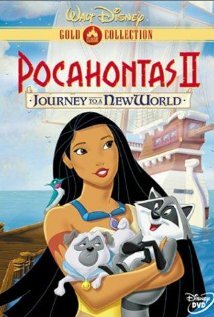 The second Po cahontas film Pocahontas II: Journey to a New World shows what happened after all of the fighting ended. The main character is taken to England where she is treated as less than equal. Just like the original film, this movie is more for adults than children, but your love ones will enjoy the sequel as well. Disney did a good job of blending the original story into this new one. The fact is that this two part series is actually quite educational for young people since it explores serious issues in a family friendly setting. You can find more information at http://www.imdb.com/title/tt0143808/?ref_=sr_2. This movie gets a five out of five popcorns rating.